The Apex 2 produces a receipt of 2.24" wide that presents your logo or text on a crisp, clean receipt whether the user needs wireless local area networking (WLAN) or wireless personal area networking (WPAN). An optional 3-track magnetic card reader allow for easy credit card payments. Generous flash and SRAM memory that are under direct user control allow the user to store logos, fonts, graphics and barcodes for fast adaptability to changing business requirements. 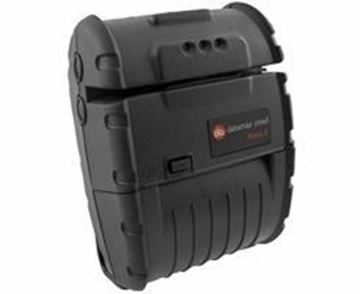 The RL4 is a durable 4-inch (102mm) direct thermal printer with a rugged design and reliable performance that will continue to operate long after other printers have failed. We’re so confident in the quality and long term reliability of this rugged printer that we include a 2-year warranty free of change. That’s double what the competition offers. Anybody who’s ever been in a warehouse knows that when shipments are processed more quickly and effectively, productivity is increased and errors are reduced. The RL4 improves efficiency and productivity by allowing workers to print and apply barcode labels directly at the point of application. 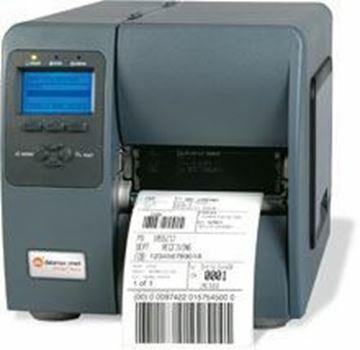 Using an RL4 to print barcode labels on-demand labels also eliminates the danger of mixing up batch printed labels and saving thousands of dollars in potential shipping errors. The portable printer can even be mounted on fork trucks for added convenience and versatility. We’ve made integration easy. 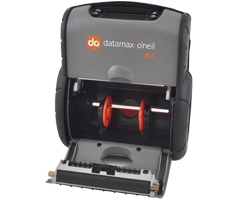 Replace existing label printers using Datamax-O’Neil’s language emulations. The RL4 is compatible with most popular warehouse management software programs, independent label design programs and remote management packages. 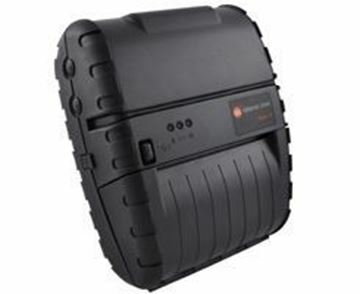 The Datamax-O'Neil H-Class is a rugged and versatile printer that offers one of the most feature rich solutions for dynamic enterprise applications and is twice as fast as other printers in its class. 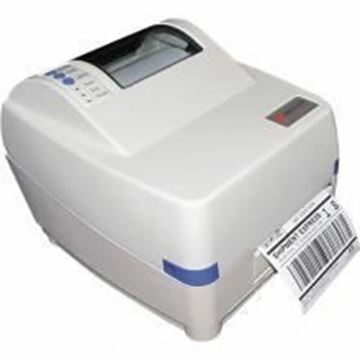 The Datamax-O'Neil H-Class is ideal for high volume label printing in manufacturing, warehouse, transportation, and high resolution labeling. Datamax-O'Neil H-Class reduces the total cost of ownership with its gear driven design to provide rugged and reliable performance for 24X7 mission critical services. Datamax-O'Neil H-Class offers a broad range of connectivity to meet diverse application requirements and easily integrates into any network. Modular construction increases up-time for the highest levels of user productivity. Datamax-O'Neil H-Class has the industry’s largest graphical display and provides an easy-to- read view for quick navigation and printer notifications. Support of UHF and HF RFID configurations for current or future requirements protect your printer investments. The high quality features, performance, and rugged reliability make the Datamax-O'Neil H-Class the best value of any premium printer on the market. 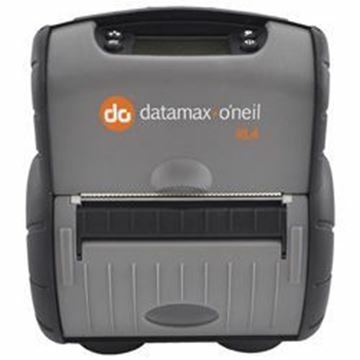 The Datamax-O'Neil H-Class is a family of high performance stationary label printers that thrive in a 24x7 work environment. Versatile and durable, the Datamax-O'Neil H-Class offers models that meet the requirements for even the most complex applications. The gear driven design and die-cast aluminum frame ensures you years of reliable service and a strong ROI. 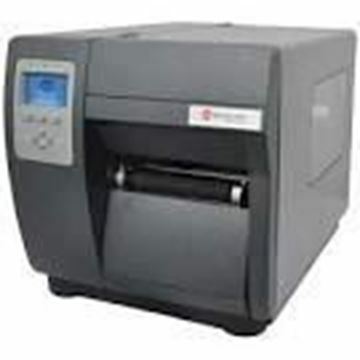 The Datamax-O'Neil H-Class 4-inch series generates labels up to 4.16 inches wide with outstanding print quality from 203dpi to 600dpi and high speeds of 6 to 12ips. 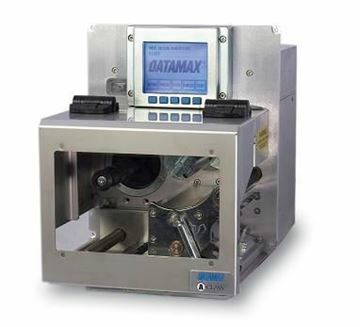 The Datamax-O'Neil H-Class 4 inch extra capacity ("X") series offers the same durability and versatility of standard 4" series but with a full roll internal rewinder and expanded front panel display. The user-friendly LCD graphical backlit display is nine times larger for easy to read label configuration and setup. The 4X series is also 3.4 inches taller to accommodate the full roll internal label rewinder. 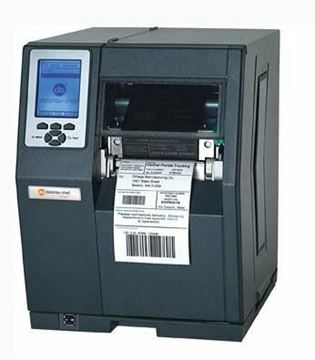 The Datamax-O'Neil H-Class 6-inch series are high performance printers perfect for printing midsize labels used in the automotive industry, manufacturing and pallet labels. 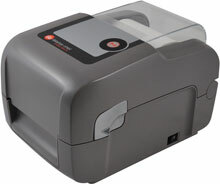 The Datamax-O'Neil H-Class 6-inch series generates labels up to 6.61 inches wide with outstanding print quality from 203 dpi to 300 dpi and high speeds of 8 to 10 ips. The Datamax-O'Neil H-Class 6-inch extra capacity (“X”) series offers a larger internal rewinder and expanded front panel display than the standard 6-inch models. The LCD graphical backlit display is nine times larger for easy to read configuration and set-up. The 6X series is also 3.4 inches taller to accommodate the full roll internal label rewinder. Features a full roll internal rewinder and expanded front panel display. 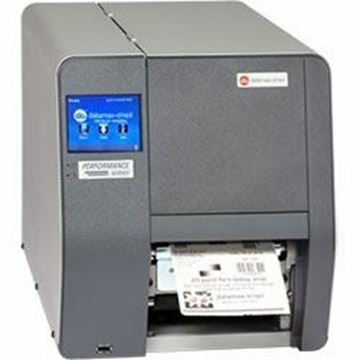 H-Class printers meet the diverse demands of today’s constantly advancing RFID implementations. No matter the requirements, H-Class printers delivers power, performance and reliability and complies with EPC G2 standards. 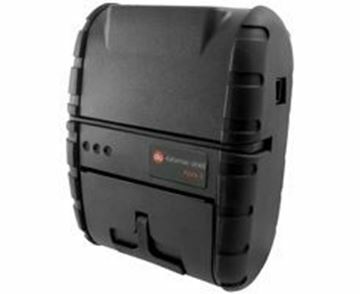 The H-Class offers a full array of printer sized and supports both UHF and HF frequencies. The IntelliSEAQ™ printhead combines advanced thermal control with full performance history to provide the most sophisticated diagnostics available today. The diagnostics stored in the printhead allow you to quickly asses the operation of the printhead and proactively service the printer without compromising the productivity of the enterprise. DMX NetManager provides a graphical user interface allowing you to manage your entire network connected D-O printers. Whether you are deploying or managing your printers, you can proactively configure or implement changes to your entire enterprise. This can significantly reduce operations down time and related loss of productivity costs. All H-Class printers are shipped out of the box with software to ensure optimum performance and quality printing. The intuitive menu system gives users easy access to the configuration and advance features built into the printer. The emulation capabilities offers quick replacements of competitive printers such as Zebra, Intermec or Boca and the resident and expanded fonts offer global access. Regardless of your requirements, Datamax-O’Neil will support your specific needs with specialty firmware. The I-Class Mark II printer is positioned as the mid-level industrial printer between the compact M-Class Mark II and the high performance H-Class. The I-Class Mark II is loaded with many standard features not offered by the competition such as a faster processor, larger memory, a wide selection of communication ports, an intelligent printhead with durable coating and better abrasion resistance, and the new OPTIMedia feature that automatically selects heat and speed setting to produce the best print quality. Users will also notice a substantial reduction in power consumption. 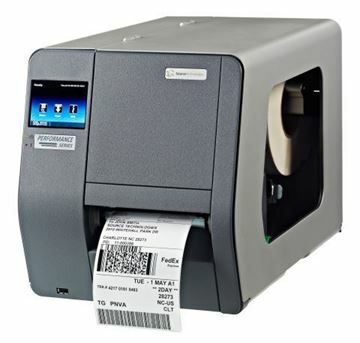 The I-Class Mark II is the ideal printer for shipping and receiving, product identification, pharmacy labeling and asset tracking applications. Award winning I-Class is a comprehensive, cost-effective industrial barcode printer, offering reliability and flexibility. With its revolutionary modular design, most I-Class options are field installable. I-Class printers are ideal for Shipping & Receiving, Product Identification, Pharmacy labeling, and Asset Tracking. Connectivity: Standard bi-directional parallel and high speed serial interfaces allow for easy integration into any system. Range: I-class offering includes 203, 300, 400, and 600 DPI resolutions, covering a wide range of industrial applications. Easy to read front LCD features make it easy to configure the printer. Wide access to the printhead makes the I-class very easy to maintain. The printhead and platen roller can be changed in less than 5 minutes. Software: I-class utilizes our widely used DPL and supports MCL designer and 123 Print. With the PL-Z and PL-I printer language emulations offered on many models, users can easily integrate the printer to existing solutions. Print length range* 0.25" to 99"
(6.35 to 2514.6mm) 0.25" to 99"
(6.35 to 2514.6mm) 0.25" to 55"
Lightweight and small enough to carry through a complete shift, the Apex 3 portable receipt and label printer can be worn on a belt or optional shoulder strap without feeling cumbersome. Easy to use with its simple label and receipt paper loading system and high capacity battery that lasts through a 12 hour shift, the Apex 3 will keep up with the mobile worker during a busy shift while keeping your costs at bay. Contact RBS for more details. The Datamax-O'Neil Performance Series is a new, innovative family of printers that was designed to resolve a number of issues customers have been having with thermal printers for many years. The result is a printer family that is the easiest to load, easiest to uses and easiest to integrate of any thermal printers available anywhere. The Performance Series printers offer superior print quality, auto-load capabilities, user-friendly color touchscreen, unparalleled print registration and an industry standard printer language, PCL. PCL is standardized to run on a variety of operating systems, so it is independent of any application software running on a computer. This ensures faster and easier plug-play integration, getting your printer systems up and running sooner. Within the Performance Series is a printer with a near-edge printhead that allows printing on synthetics, tags, self-adhesives and plastics. Easy ERP integration - a benefit that derives from a true PCL5 thermal barcode printer. Middleware applications are no longer necessary within printer networks.  All Performance printers are approved through the SAP Printer Vendor Program. Standard 300 dpi printheadwith each Performance Series printer allows users to now benefit from a higher resolution printhead with better text, images and barcodes at a 203 dpi printhead price. Most Advanced Interface - The industrys most intuitive color touchscreen makes set up and performance enhancements as simple as 1-2-3. The printer provides front panel print quality adjustments, auto media calibration and loading as well as ribbon tensioning controls.